Rep. Jim Jordan, R-Ohio, a member of the House Judiciary Committee, comments during a meeting on their months-long standoff with the Justice Department on the request by the Republican-controlled panel for documents related to the origins of the FBI's Russia investigation and the handling of its probe into Democrat Hillary Clinton's emails, on Capitol Hill in Washington, Tuesday, June 26, 2018. Former wrestlers at Ohio State University have accused their former coach, Rep. Jim Jordan, R-Ohio, of failing to stop the team's doctor from molesting them and other students, NBC News reported. In April the university announced it was investigating accusations that Dr. Richard Strauss abused team members from the mid-1970s to late 1990s. Strauss killed himself in 2005. Jordan was assistant wrestling coach at Ohio State from 1986 to 1994. He is now a powerful ally of President Donald Trump in Congress who is mentioned as a possible future speaker of the House. Three former wrestlers told NBC News that it was common knowledge that Strauss showered regularly with the students and inappropriately touched them during appointments, and said it would have been impossible for Jordan to be unaware; one wrestler said he told Jordan directly about the abuse. The congressman’s spokesman has denied that he heard of any abuse at the time. 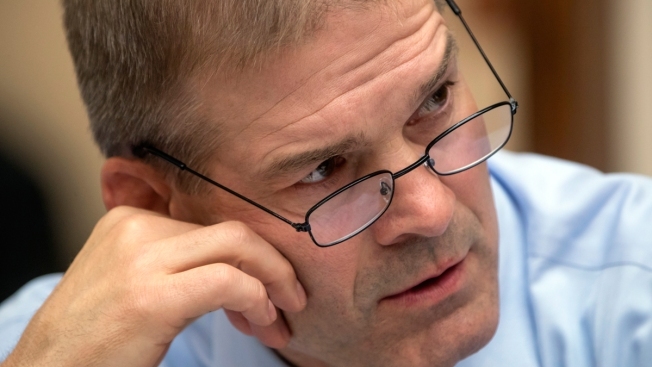 “Congressman Jordan never saw any abuse, never heard about any abuse, and never had any abuse reported to him during his time as a coach at Ohio State,” his spokesman, Ian Fury, said in an email to NBC News.